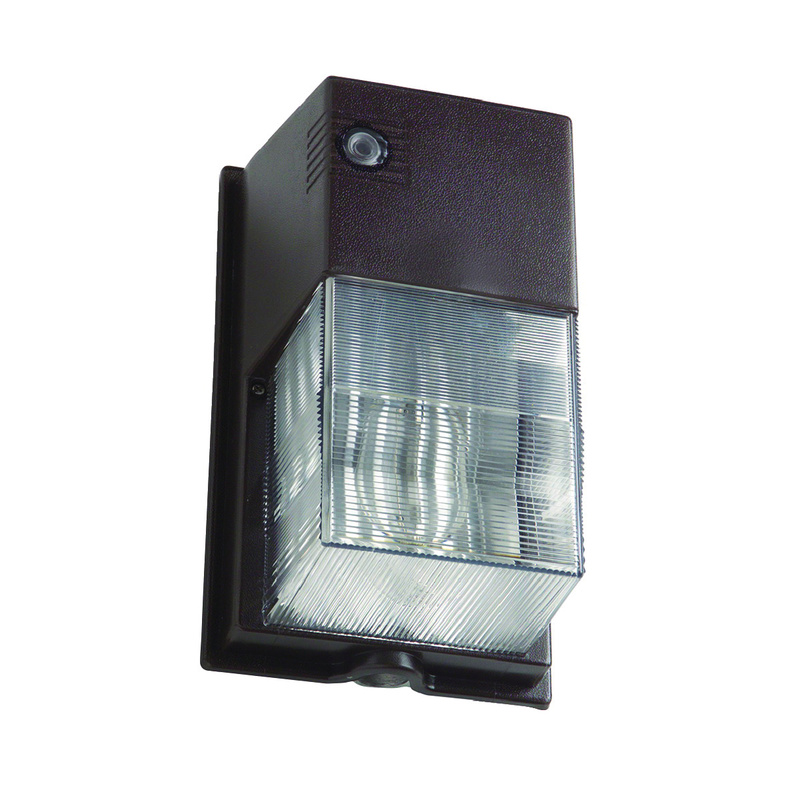 Hubbell Lighting 4-Pin GX24q-4 Socket perimeter wallpack in bronze finish, features polycarbonate front and die-cast aluminum back housing for rigid mounting and heat dissipation. It has motion sensor controlled one 120 - 277 Volt, 42-Watts 3500K electronic fluorescent or CFL lamp with an average life of 50000 hours. This wallpack is suitable for commercial buildings, shopping centers, schools and apartment complexes. Perimeter wallpack is UL/cULus listed.